Eye wear is as much about choice and style as any other aspect of fashion and, happily, at Harbord Opticians the possibilities are endless. 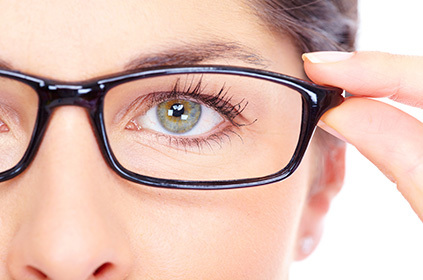 We have an exciting and extensive choice of spectacles from all of the leading brands and a team of specialists only too pleased to help and advise. Sunglasses really are the fashion accessories that reflect your personality; cool, fun, serious, stylish... you tell us. Difficulty in finding frames to fit? We are able to provide bespoke frame fitting, measurement and design. What's more, as an independent specialist we have no obligations to any one manufacturer and our prices are both reasonable and affordable. Come along and see us. We have our own optical laboratory for the creation, repair and maintenance of your spectacles, and, unlike many opticians who send their products away, this is located within our premises. Naturally, having our own laboratory enables us to manufacture spectacles more quickly, but the real advantage is that we have full control over the quality and final finish of our products. If your spectacles are broken please bring them in. We can often repair frames or find replacement parts while you wait. We are very used to repairing or replacing children’s frames on a regular basis!